We had a few little zucchini that flowered before the row-cover came off, and didn’t get properly pollinated. 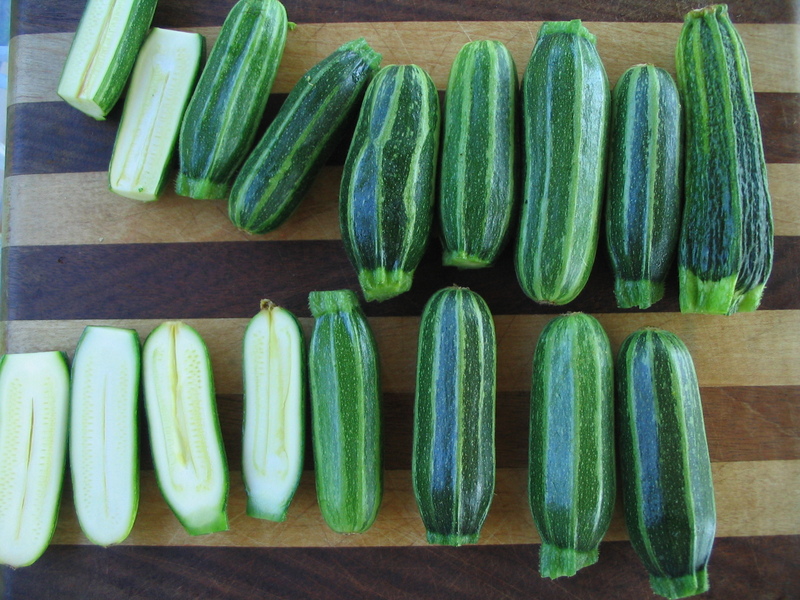 So we had a meal of really tiny zukes; about 3″ long. 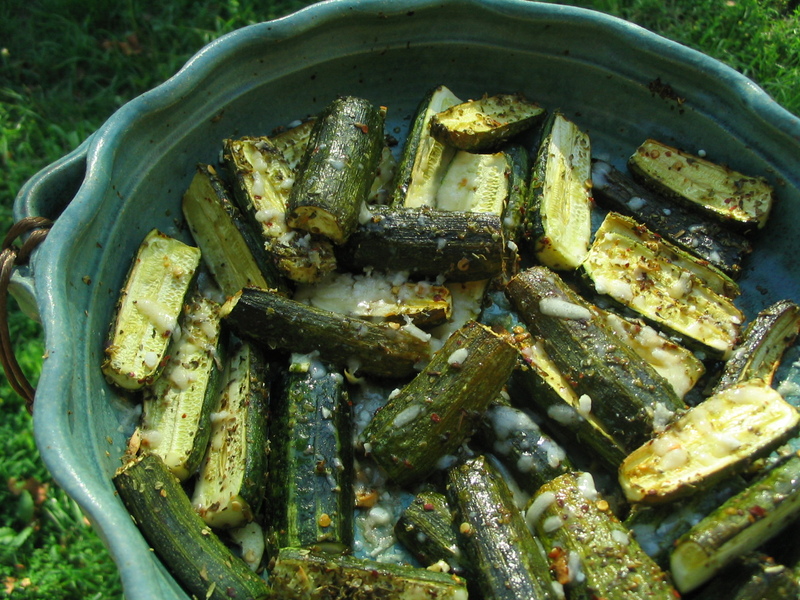 One easy way I cook zucchini is to slice them into 1/4″ strips (these are already teeny, so they are just halved), put them in a pan, drizzle with olive oil and oregano, and toss to coat. Then bake for about 30 minutes at 400 degrees, or until they are done. I like them to be juicy and a little brown. Then I sprinkle them with parmesan cheese, salt and red pepper flakes, for a little heat. Gavin calls this ‘pizza zucchini’.